Hattie finishes suffering a 30-year bout of insomnia (4ACV04). 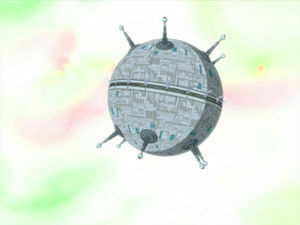 Fry and the Nibblonians defeat the Brain Spawn permanently by banishing them to an alternate pocket dimension (4ACV10). The 3004 Olympics are held on Earth. Hermes Conrad competes for Jamaica in the five hundred meter limbo but is disqualified. Bender wins five gold medals in various fembots' bending events competing for the fictitious Grand Duchy of Robonia under the name Coilette (4ACV13). Earth conquers the Spiderians of Tarantulon 6; Richard Nixon's head issues a $300 tax rebate (4ACV16). 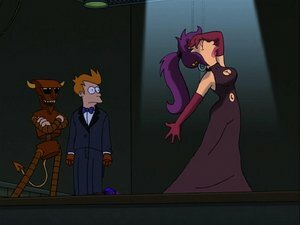 Fry makes a deal with the Robot Devil and becomes a notable holophonor star. However, his holophonor opera Leela: Orphan of the Stars, while performed with great success in the first act, flops as a result of the Robot Devil's interference (4ACV18). This page was last edited on 4 December 2011, at 20:06.